Today was our last day in Paso Robles before we start the long trip back to Michigan. 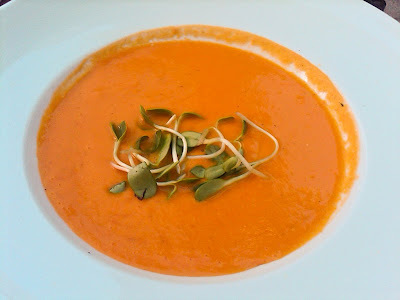 As mentioned in our last post we found a restaurant that we really like. Thomas Hill Bistro is hands down the best restaurant we have encountered on this trip. Now if your idea of fine dining is a Chinese Buffet or Golden Corral than you probably won't be interested. Don't get me wrong, I enjoy a good hot dog or burger like most people, but if I am in the mood for something special I get picky. You know the feeling when you spend a lot of your hard earned money only to be disappointed, well we've had several of those. In fact one of the things we like about the RV lifestyle is we can cook for ourselves even while traveling. 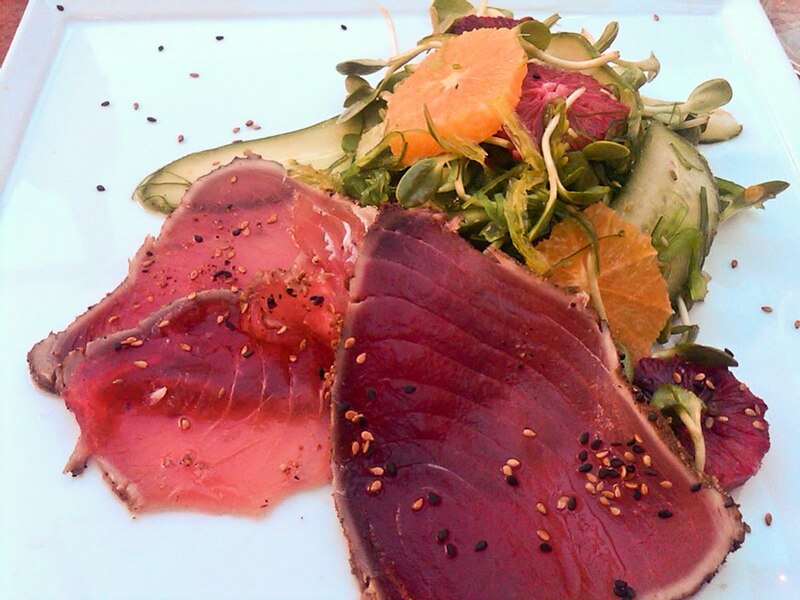 We do our own cooking and eat in most of the time because we can buy good ingredients and do it better ourselves. 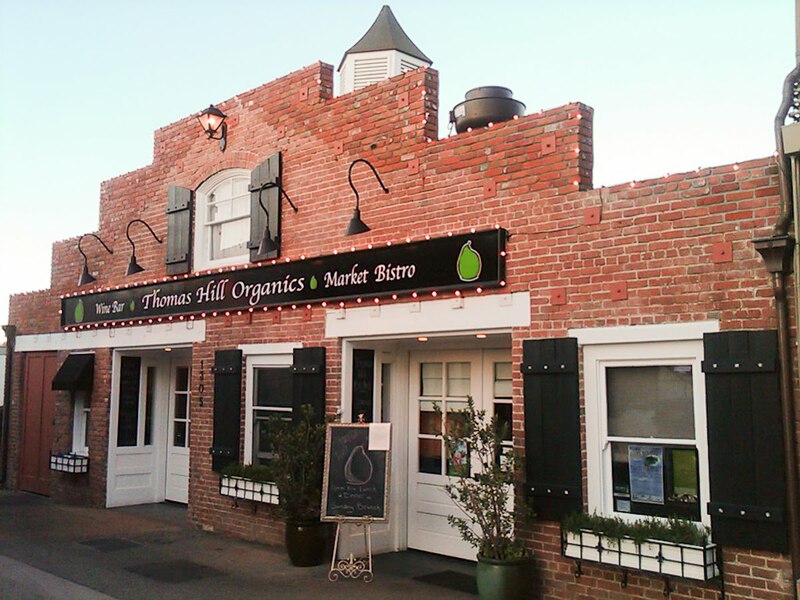 Last week when we first arrived in Paso Robles we were looking through the local guides and came across Thomas Hill Organics. Several things caught our eye. 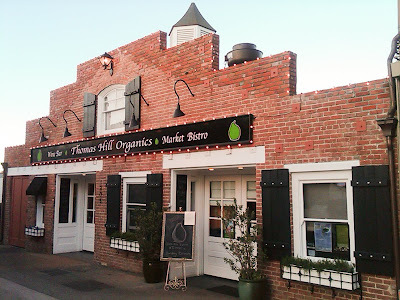 Organic, locally owned, and locally sourced ingredients. We gave it a try and were not disappointed. We then took our friends from Michigan there one day for lunch and we went there again tonight for a last dinner before we leave here. We were greeted by the owner, who remembered us, and since it was a warm evening we chose to sit outside. We also had the same excellent waitress this time. Judy chose the Ginger Carrot soup and I had the Ahi Tuna Salad. 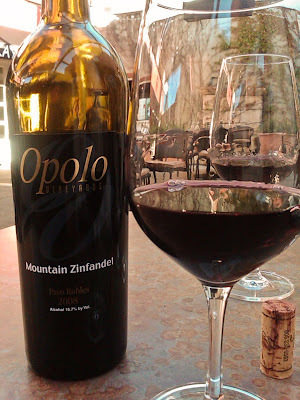 While we waited, we enjoyed a glass of Opolo Mountain Zinfindel and fresh rosemary bread and olive oil. We then shared a small wood fired pizza. The pizza was unique to say the least. 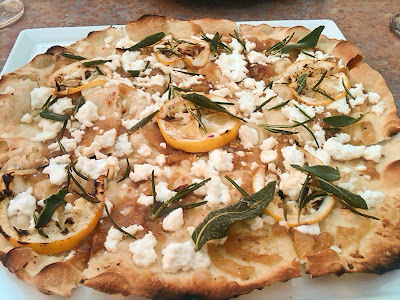 It had caramelized onions, Meyer lemon slices, rosemary, sage, and a drizzle of honey. The crust was as thin as true Italian Pizza. In fact the pizza only took 3 minutes to bake in their outdoor wood fired oven. We then really went overboard and shared a dessert. It was old fashioned caramel pudding. I can't begin to describe how good it was. They say taste can bring back wonderful memories. If you're our age or older, just remember real cooked pudding at grandma's house. I had forgotten how good something so simple can be when prepared correctly. Great food, Great Service, Great Atmosphere and Great Company. It doesn't get any better than this.